KATHMANDU, Sept 7: Private sector leaders and economists have said that the government should roll out red carpet to foreign direct investors only after making sure that their investments do not compromise or affect national interests of the country. Speaking at a roundtable on 'Bilateral Investment Agreement' organized jointly by Society of Economic Journalists, Economic Policy Incubator and UKaid in Kathmandu on Thursday, they also said that the country should first identify priority areas that need foreign direct investment (FDI) and invite foreign investors to pour their investments in such areas. Shankar Sharma, a former vice chairman of the National Planning Commission (NPC), said that it was high time we reviewed why Nepal could not attract much investments from countries with which it has signed Bilateral Investment Promotion and Protection Agreement (BIPPA) and Double Taxation Agreements (DTAs). He also said bilateral investment agreements should be signed in accordance with spirit of the constitution. Umesh Prasad Singh, senior vice president at the Federation of Nepal Cottage and Small Industries, opined that the government should create an environment where domestic investment does not get crowded out when there is a flow of foreign investment in the country. “There should be plans that link small and cottage industries with large industries set up with foreign direct investment,” he added. 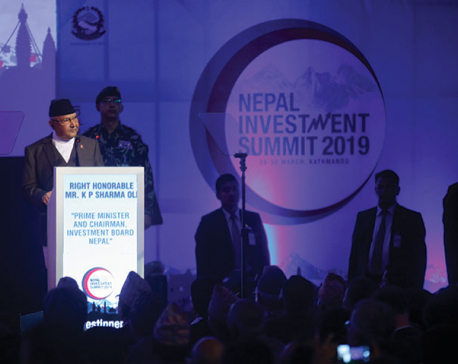 Likewise, Kamalesh Kumar Agrawal, vice president of Nepal Chamber of Commerce, said that there should be a review on why the country failed to attract huge investment despite having huge potentials. According to Agrawal, the country should also pay attention to investment trend across the world which has been observing a surge of nationalism and protectionism sentiments in recent years. He also highlighted the need to set up hedge fund for minimizing risks arising from various factors. 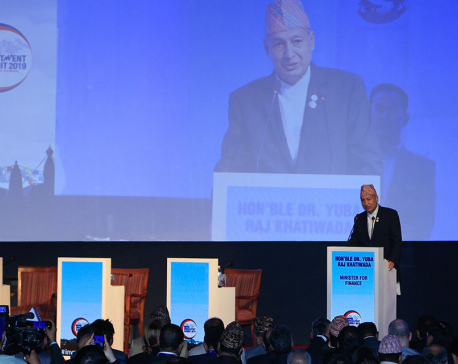 Hari Bhakta Sharma, president of Confederation of Nepalese Industries (CNI), demanded formation of a separate organization to usher in reforms in foreign investment sector, settle disputes related to investment, and to conduct investment analysis. “The government should prepare a clear template about our national interests. This will also work as a checklist for investors,” he added. Also speaking at the program, Revenue Secretary Shishir Dhungana said that the government was preparing to sign DTAs with some more countries. There were also calls for streamlining and shortening the processes of FDI approval. Satish Kumar More, senior vice president of CNI, said that the requirement to get approval from the Department of Industries for FDI even after the approval of the Investment Board of Nepal headed by the Prime Minister should be scrapped. According to Dinesh Bhattarai, a joint secretary at the Ministry of Industries, Commerce and Supplies, the government is developing a model of BIPPA. He said that the bill on foreign investment and technology transfer has been tabled in parliament, while the government is also working on the bill on intellectual property rights. To address the problem of land acquisition, the government is also planning to set up 20 industrial villages in each province, Bhattarai added. Also speaking at the event, Minister for Industry, Commerce and Supplies Matrika Yadav said that the one-door system for FDI will come into implementation 'very soon'.